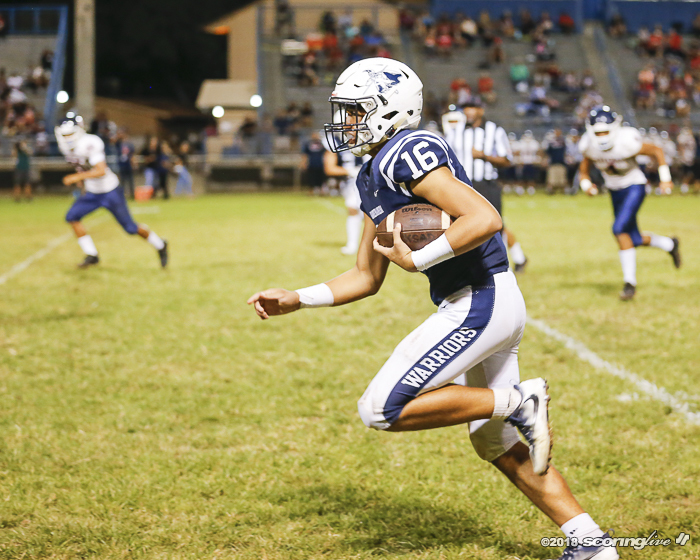 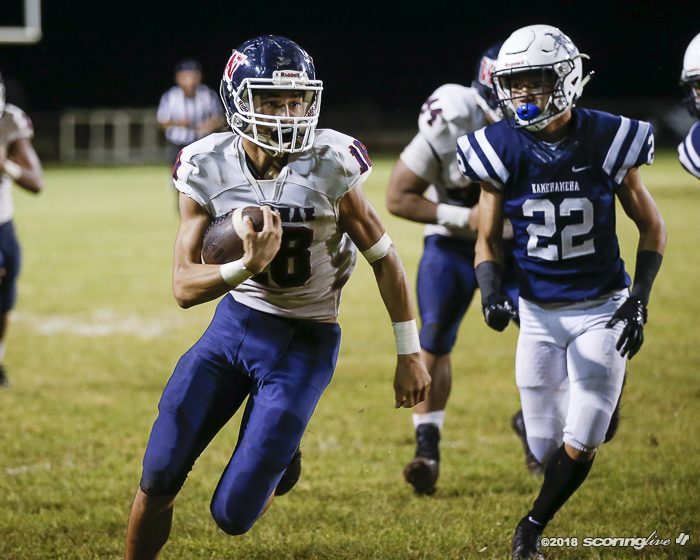 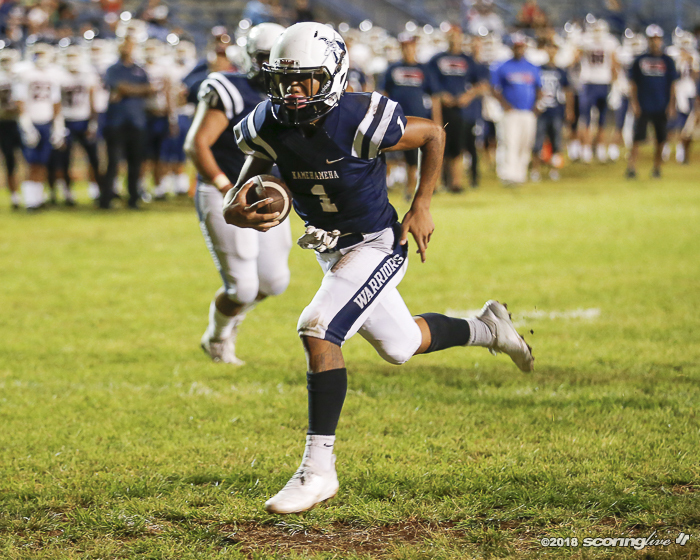 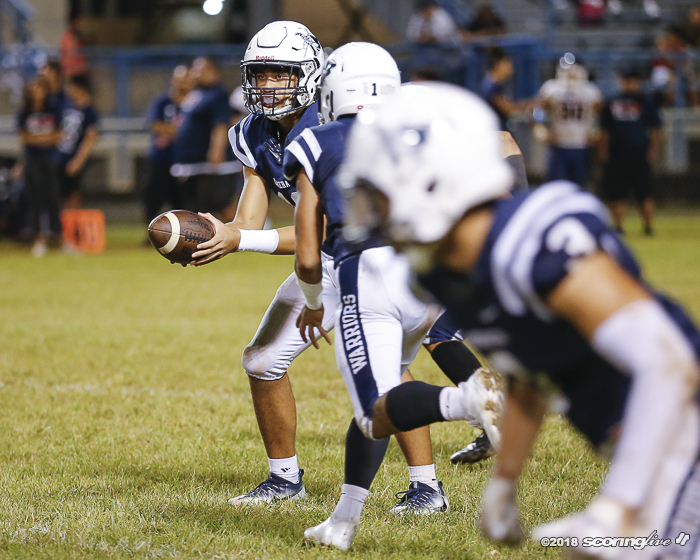 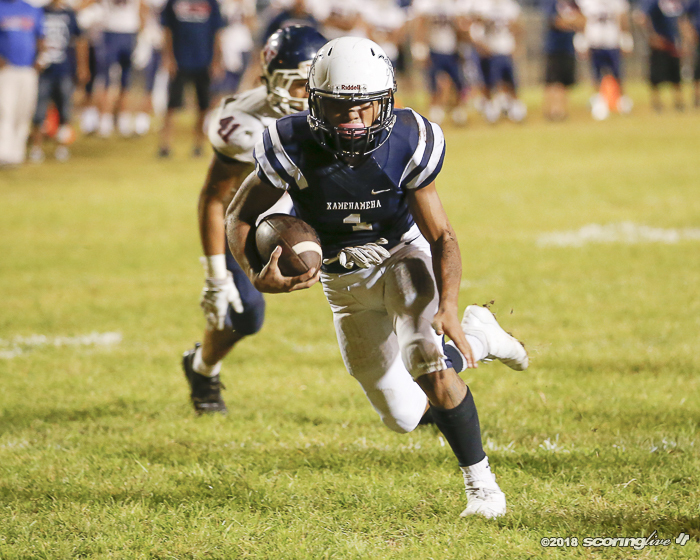 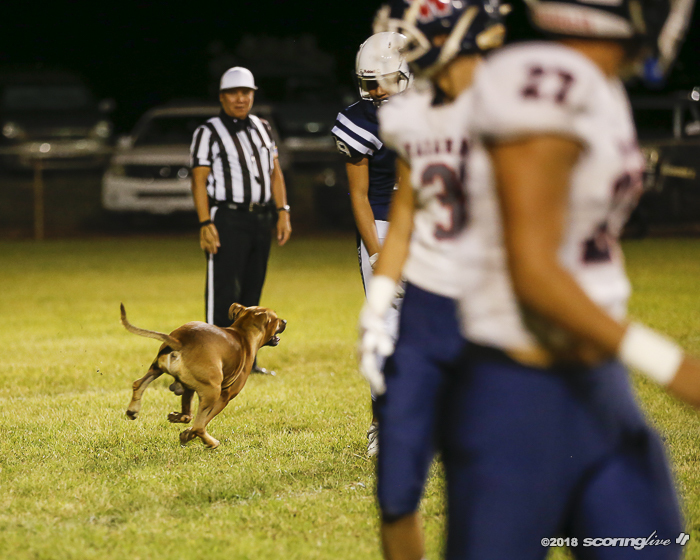 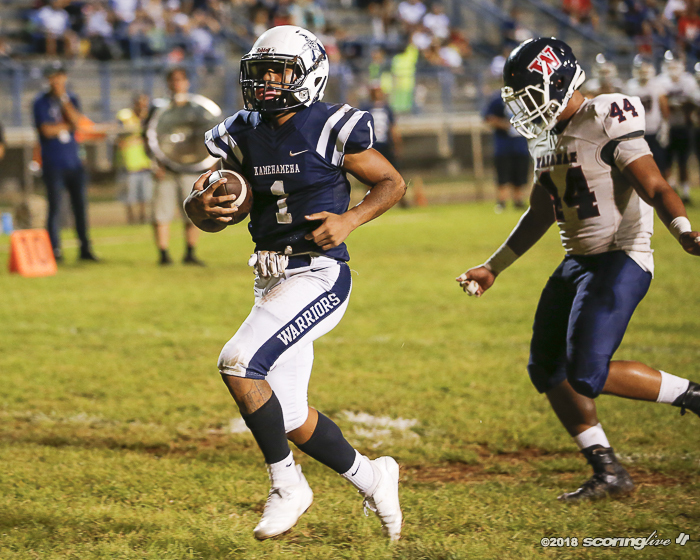 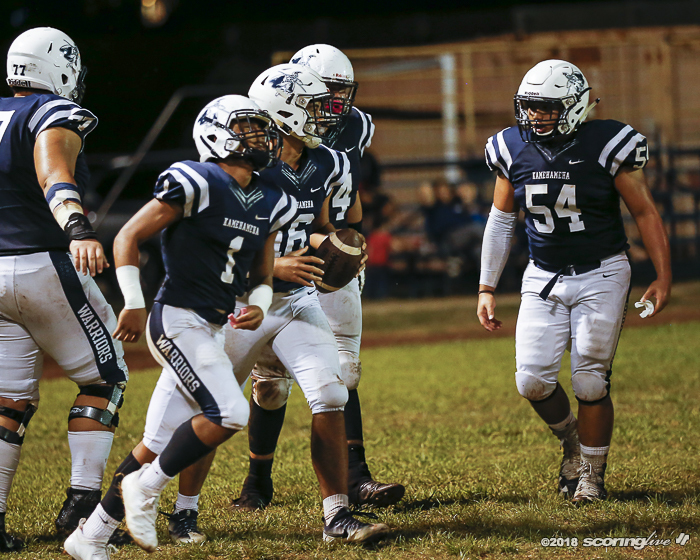 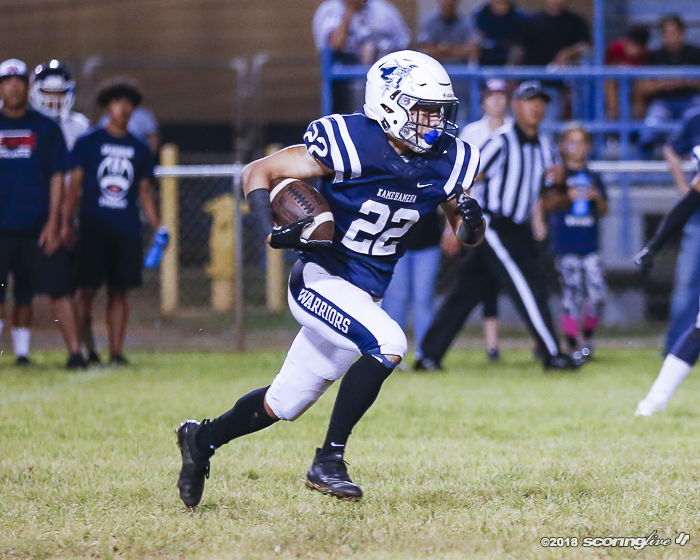 Visiting Kamehameha scored in all three facets of the game to beat Waianae, 27-0, in an Open Division interleague contest at Ramond Torii Field Saturday night. 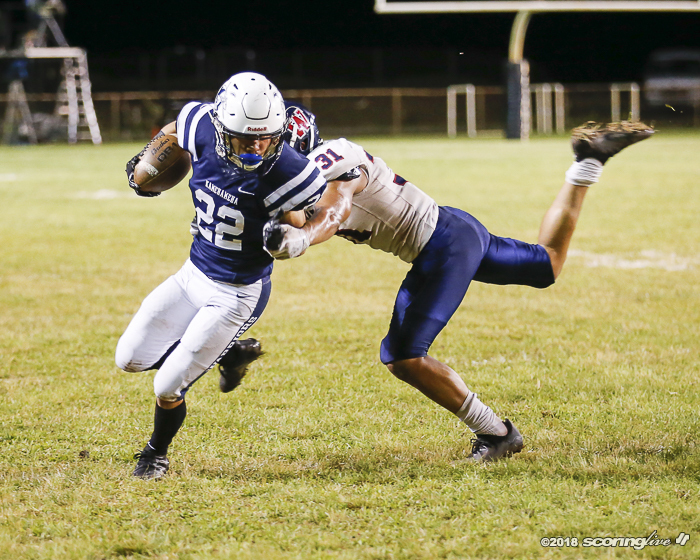 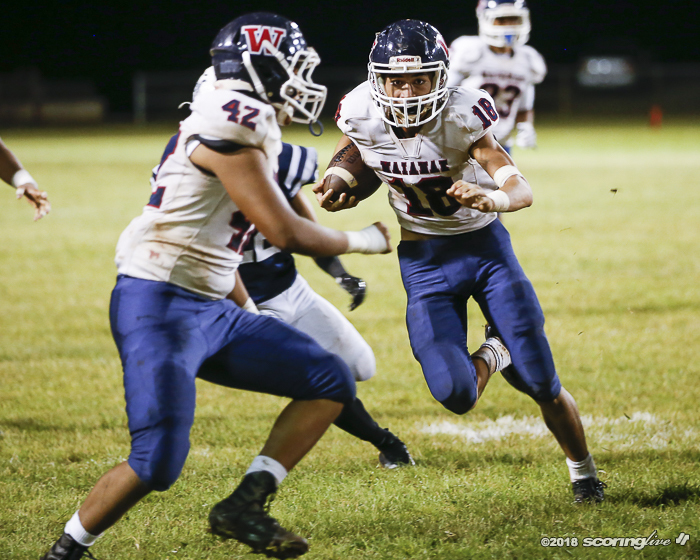 Skyler Ramos caught and threw a touchdown pass and Lancen Dung returned a fumble 17 yards to help the sixth-ranked Warriors improve to 4-4 overall. 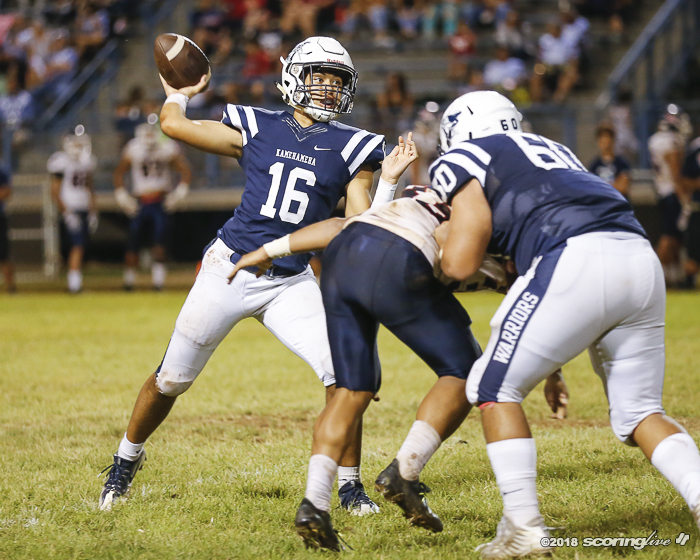 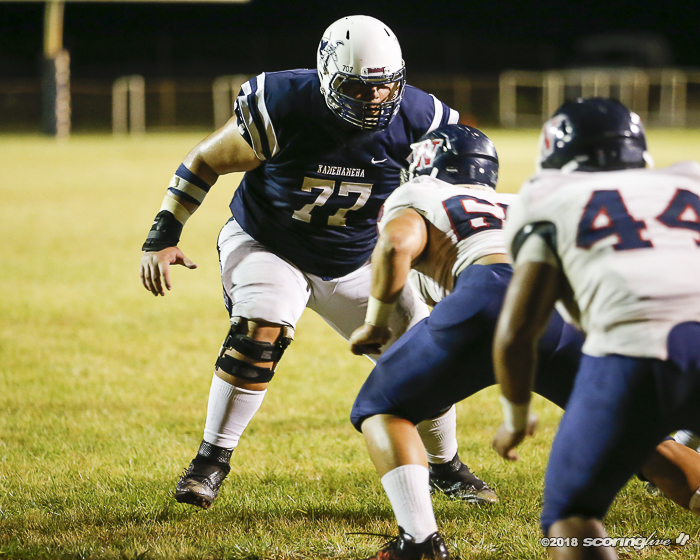 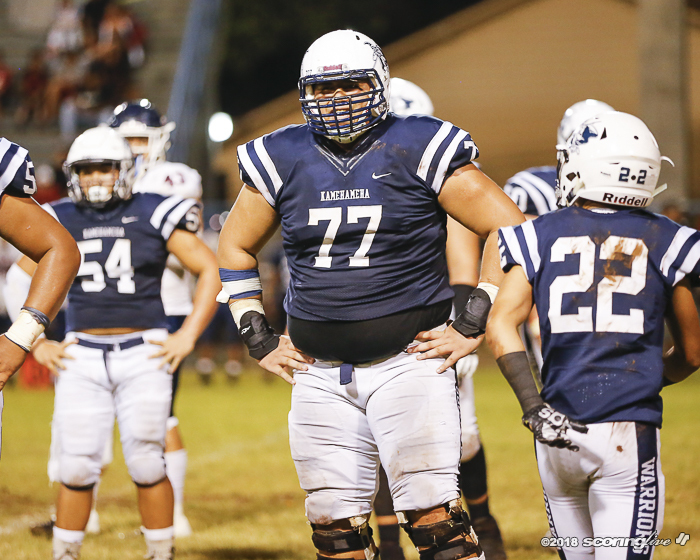 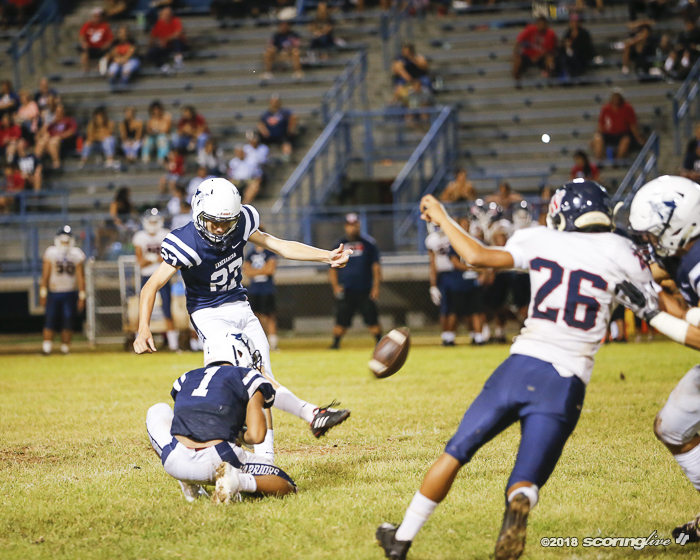 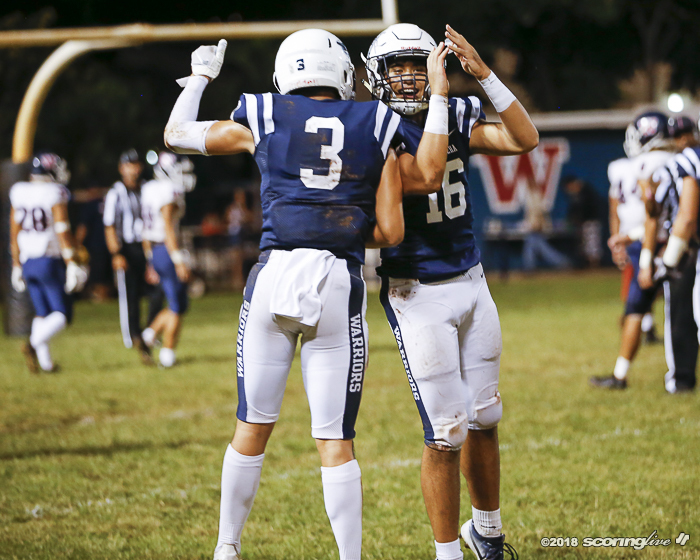 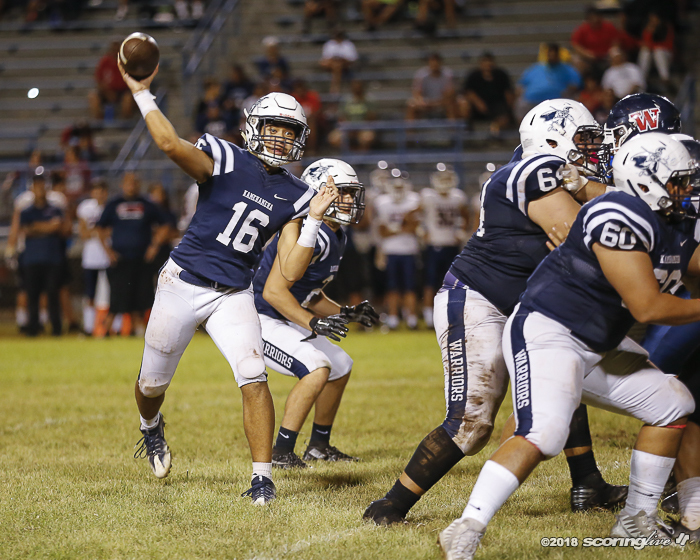 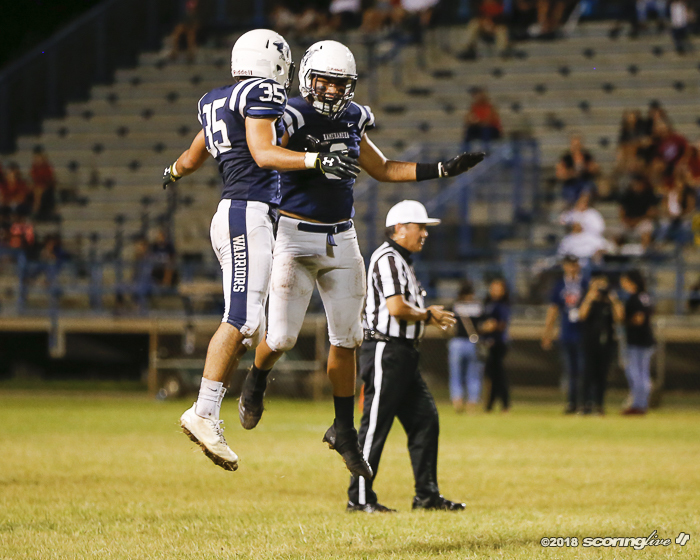 Preston Rezentes kicked three PATs and booted a 29-yard field goal in the first quarter and Luke Hamacon added a 39-yard field goal for Kamehameha's other points. 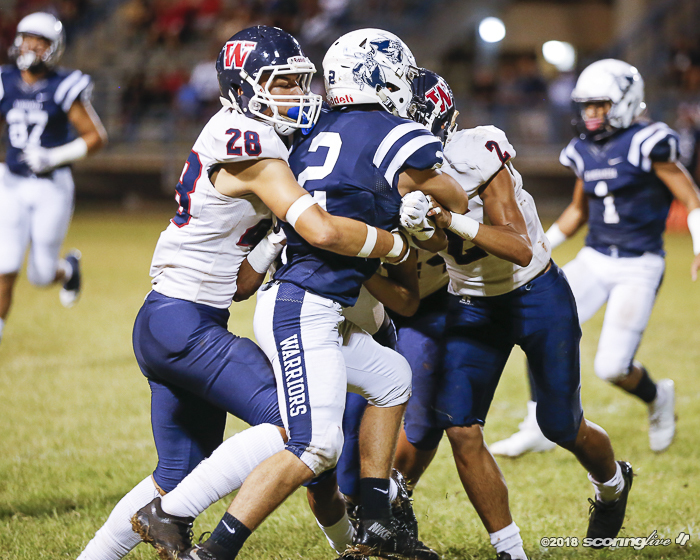 The Warriors' defense also forced six turnovers and racked up six sacks in the win. 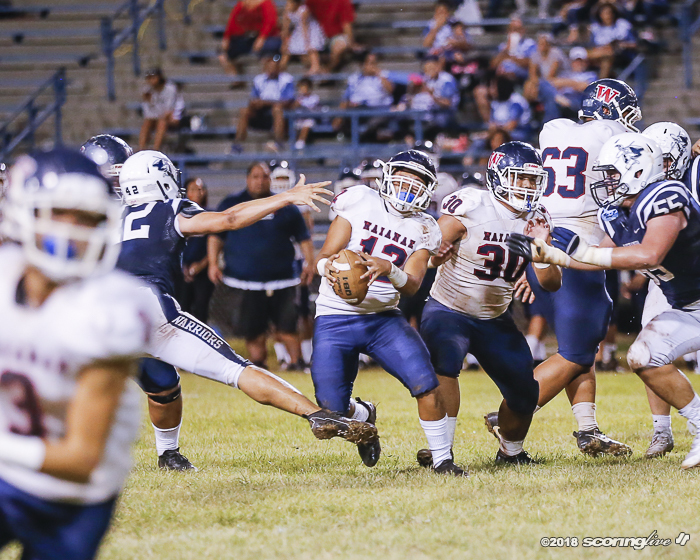 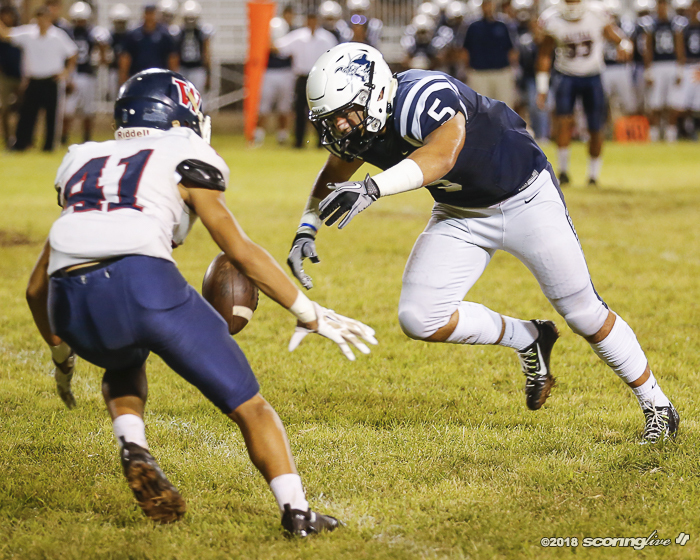 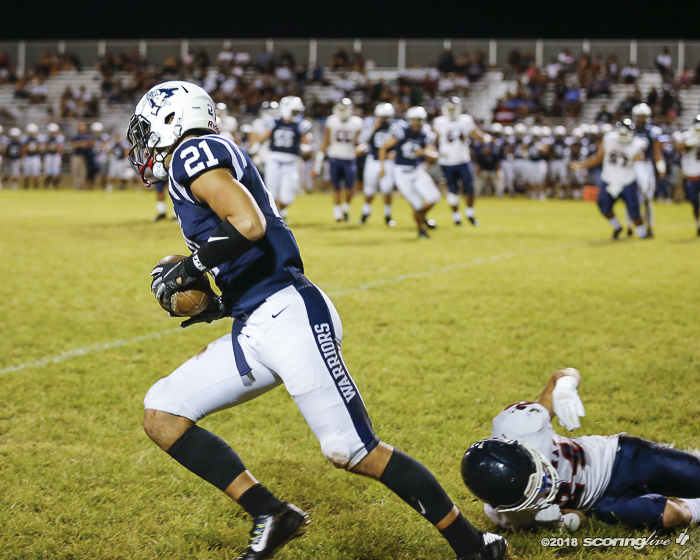 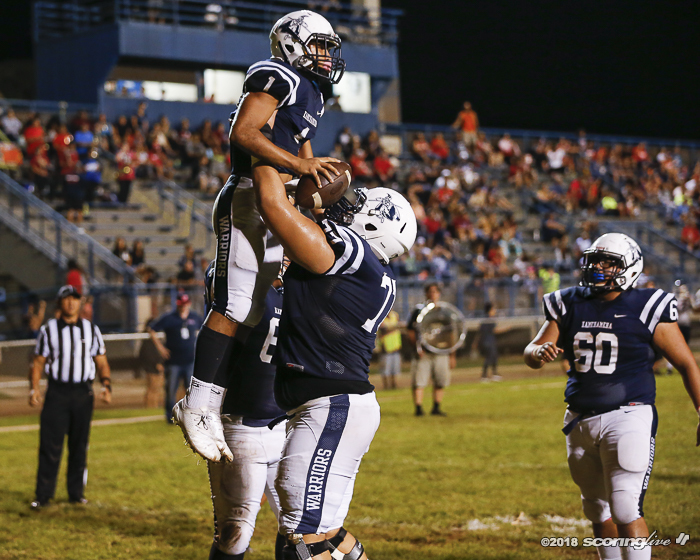 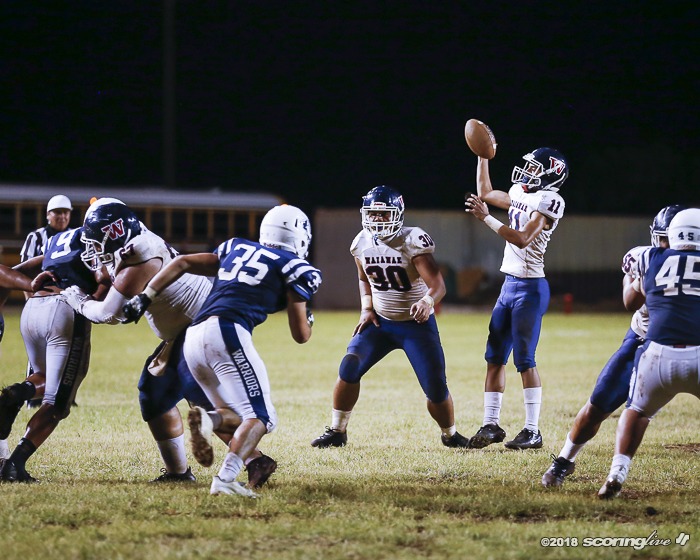 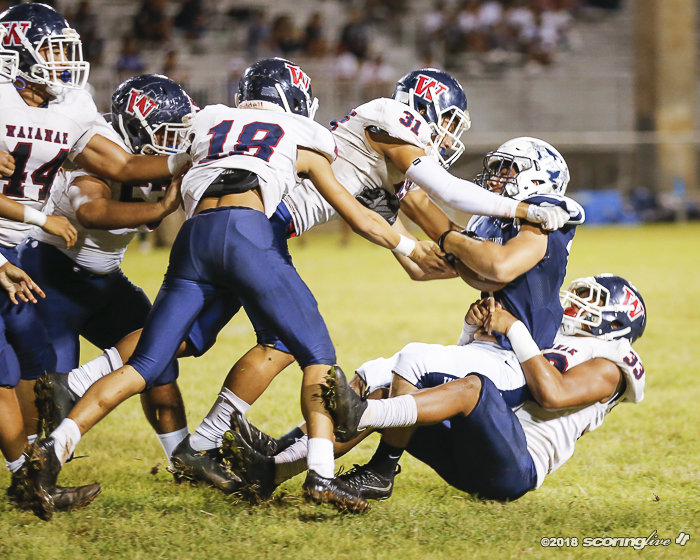 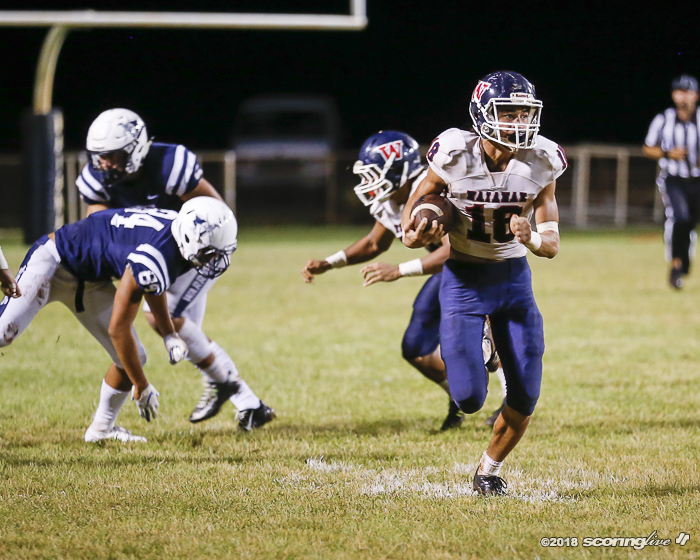 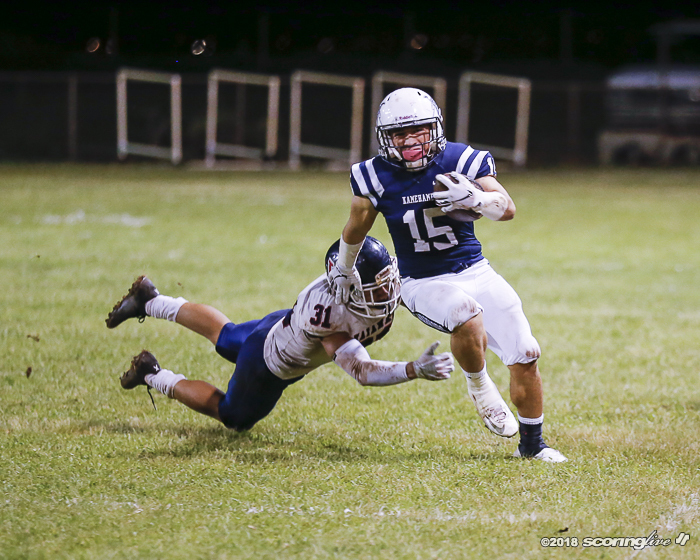 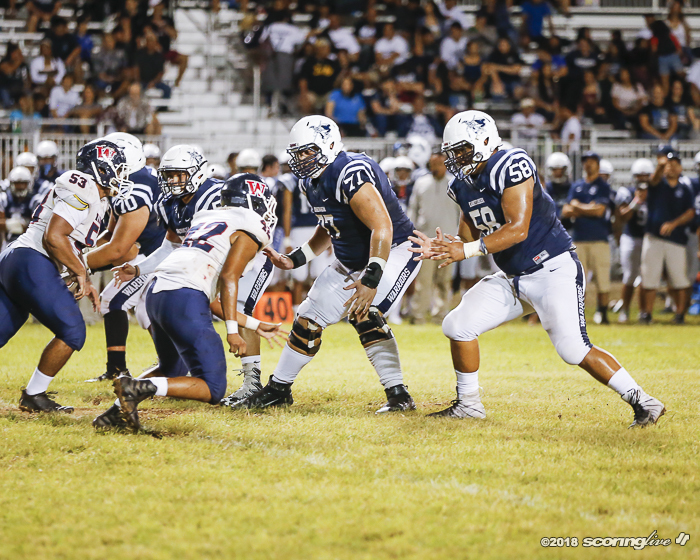 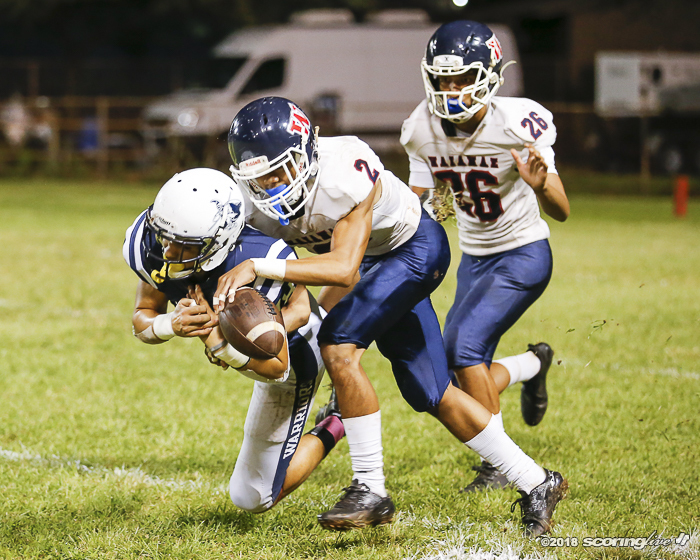 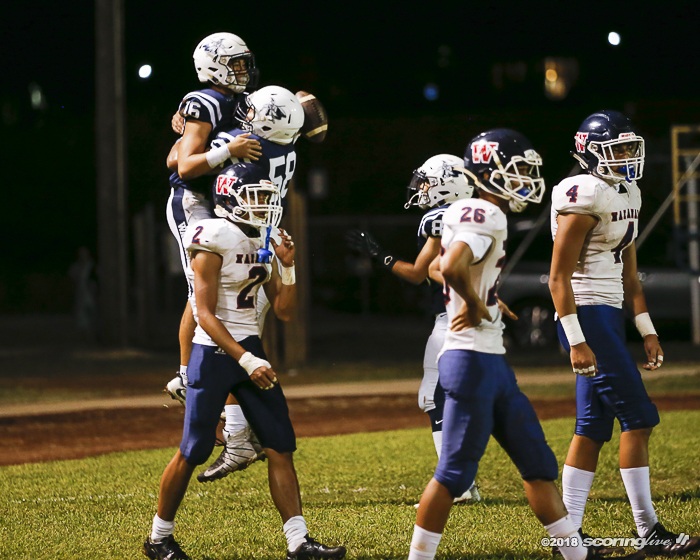 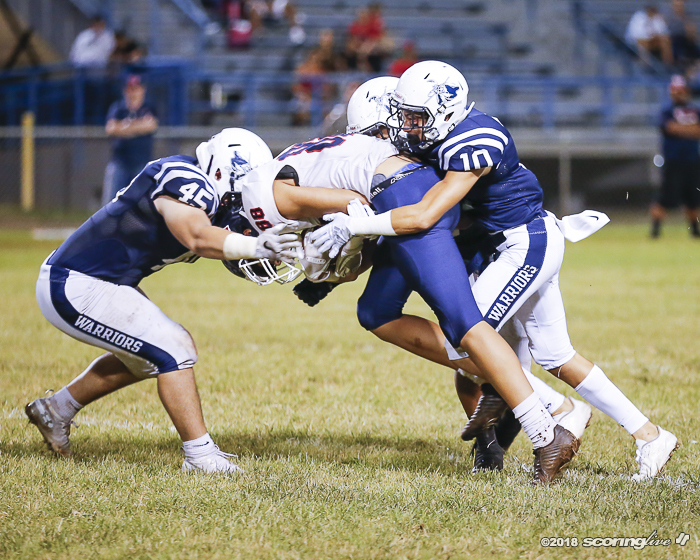 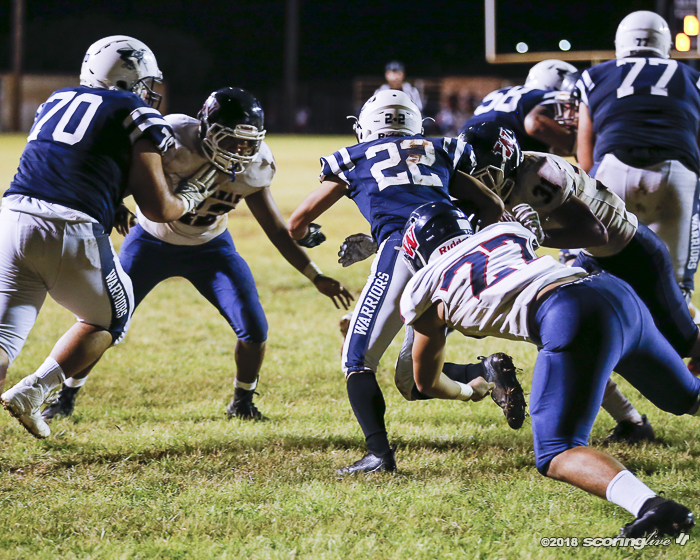 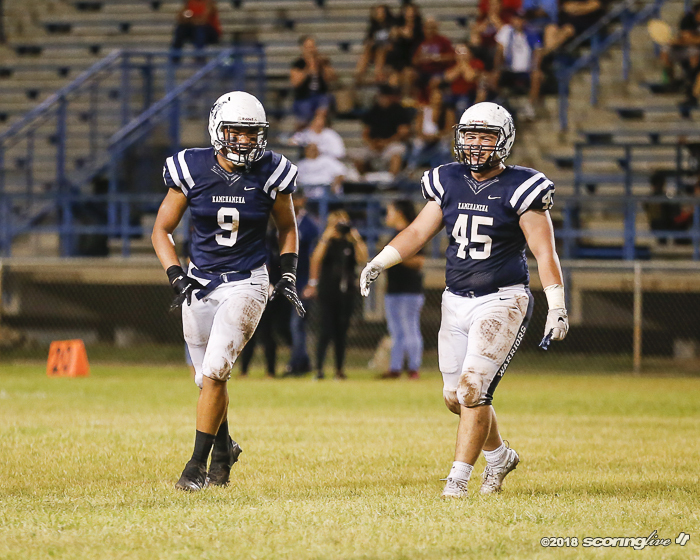 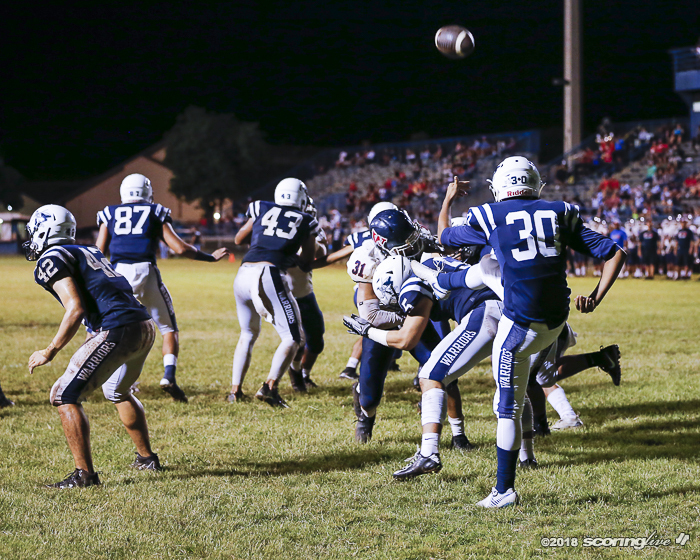 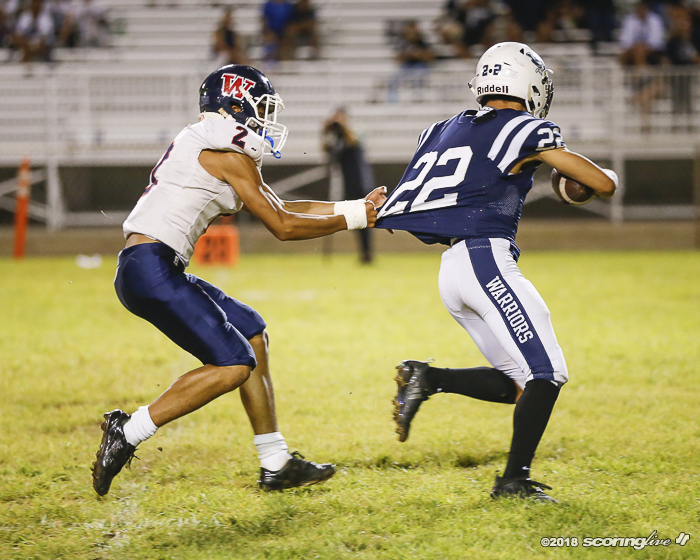 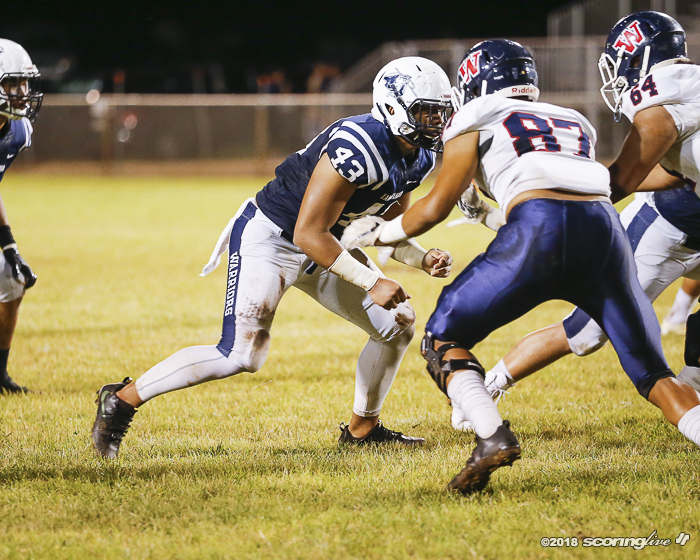 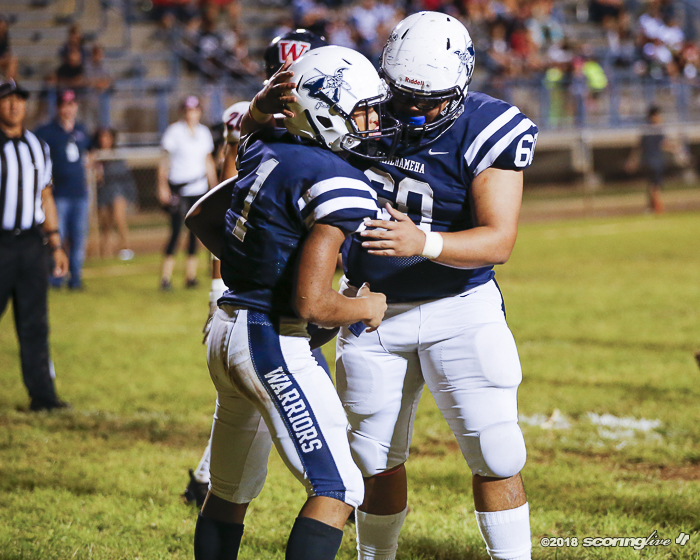 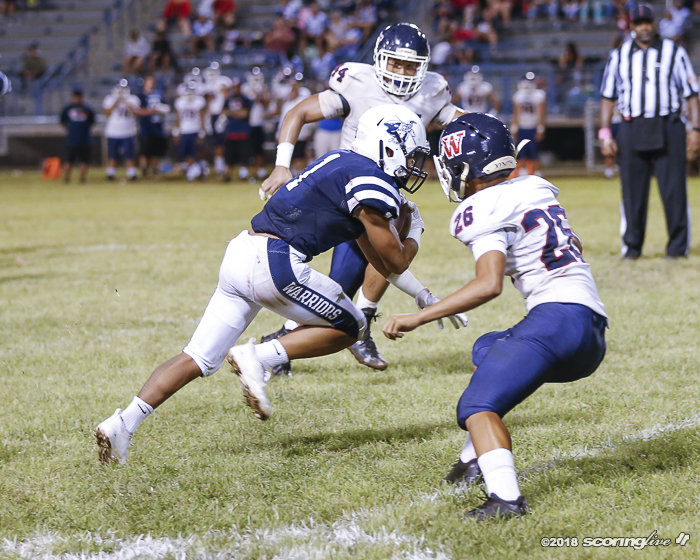 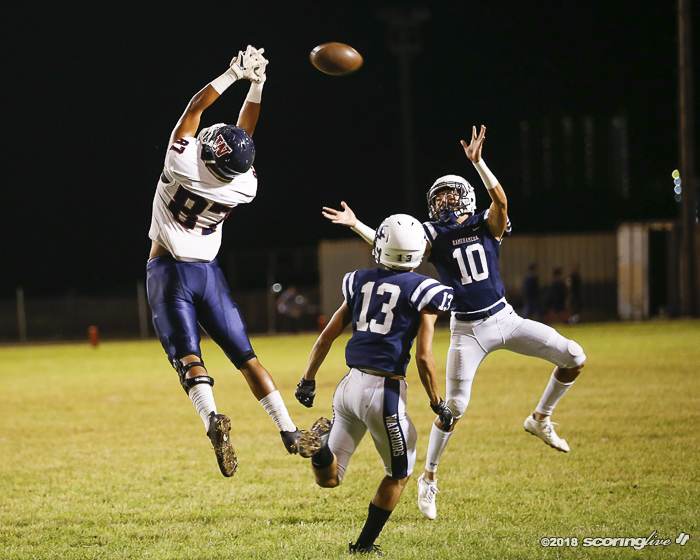 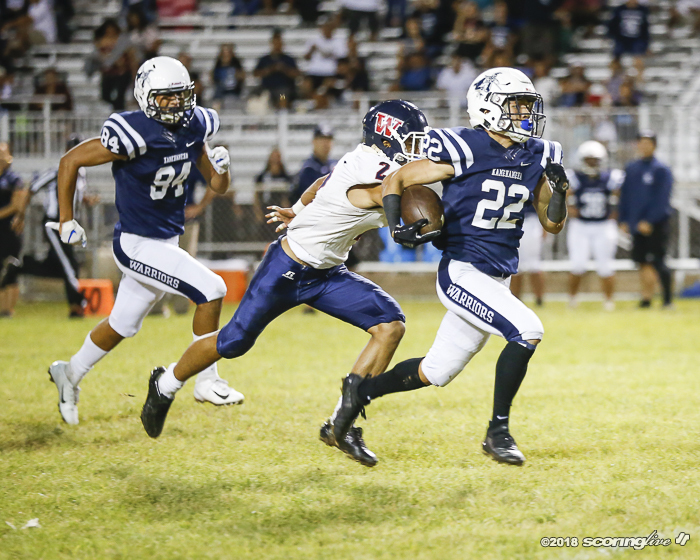 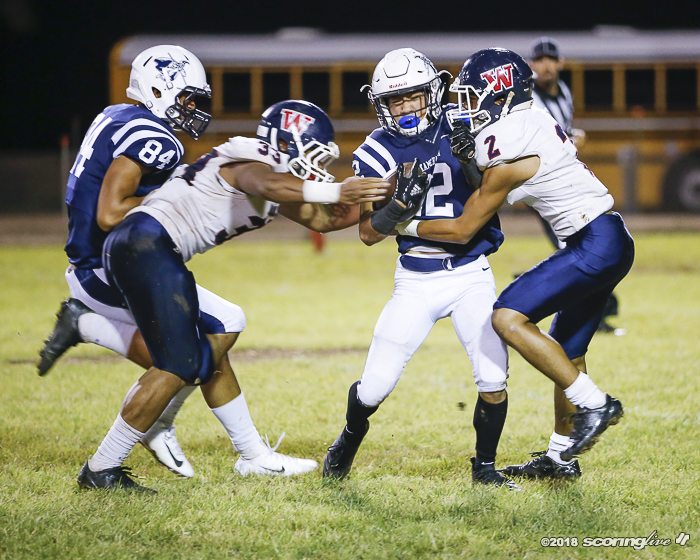 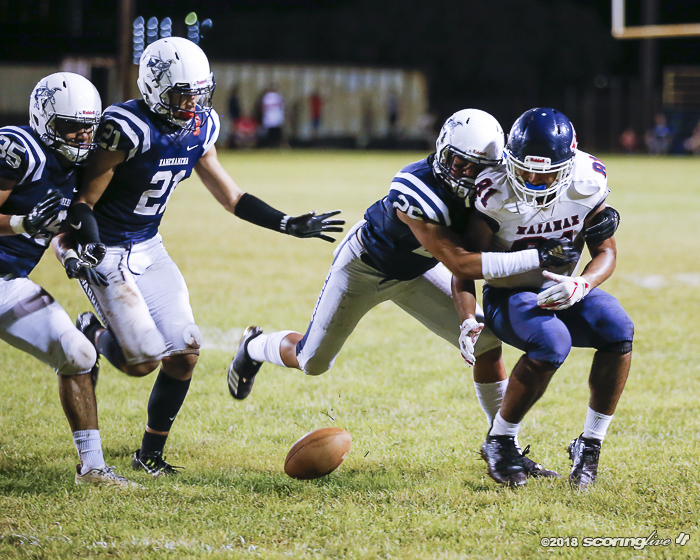 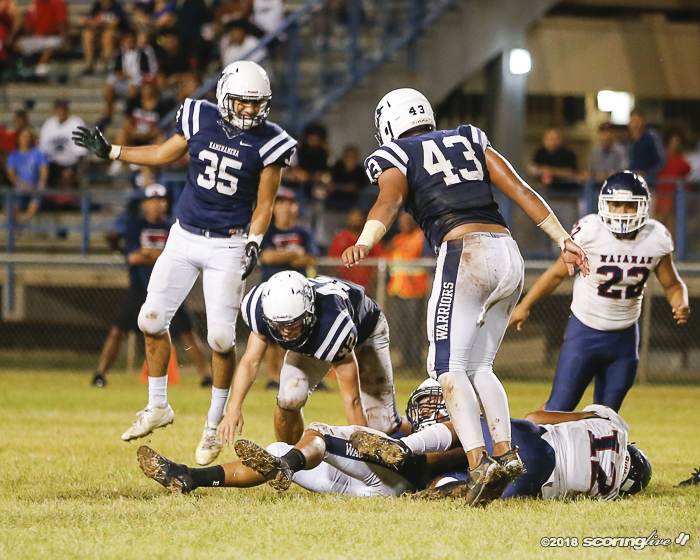 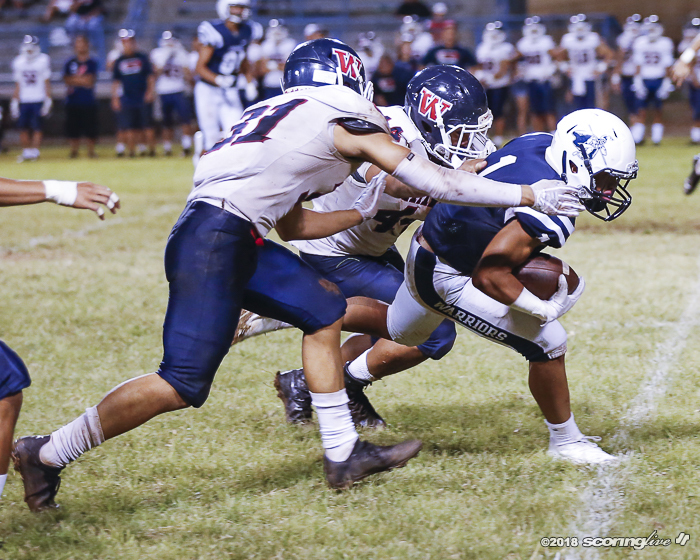 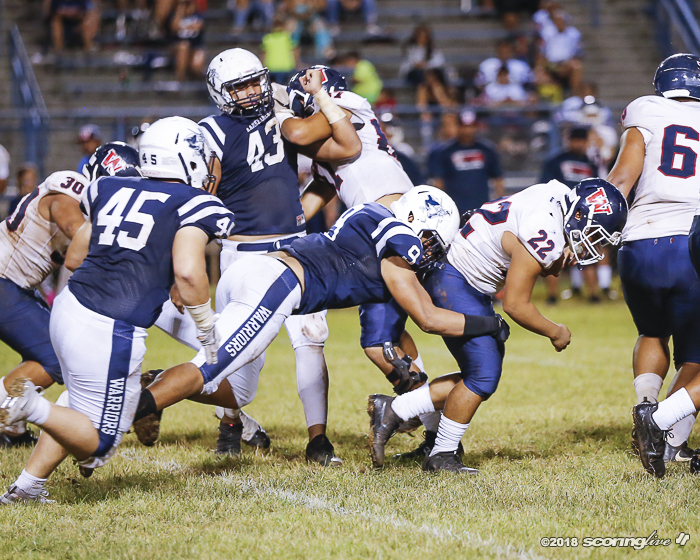 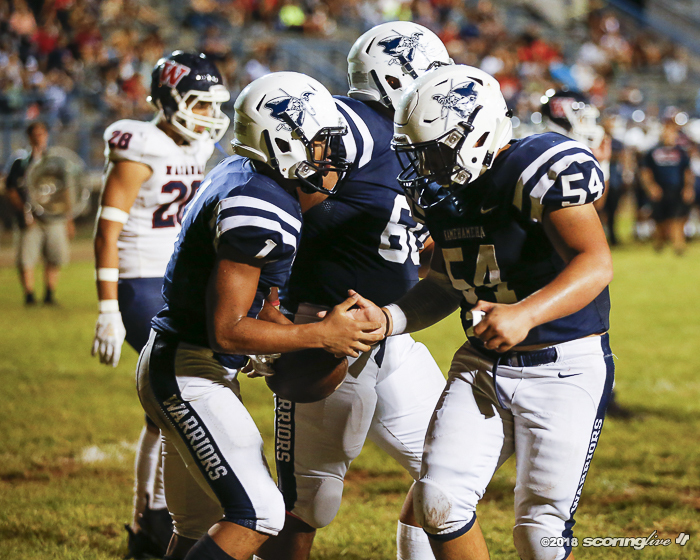 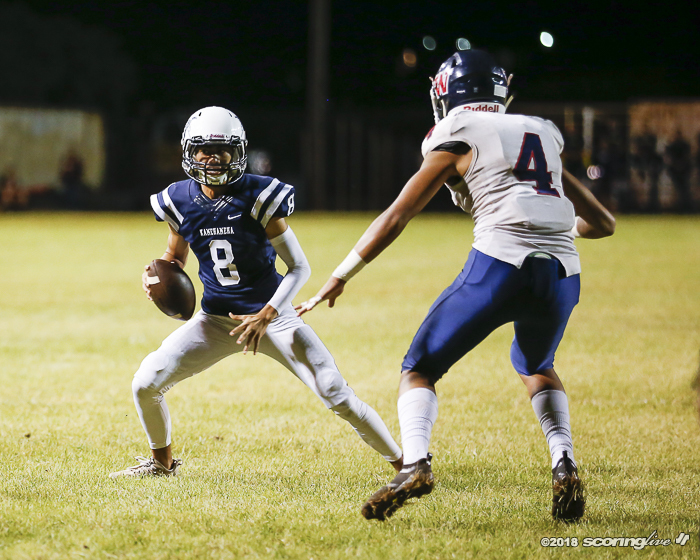 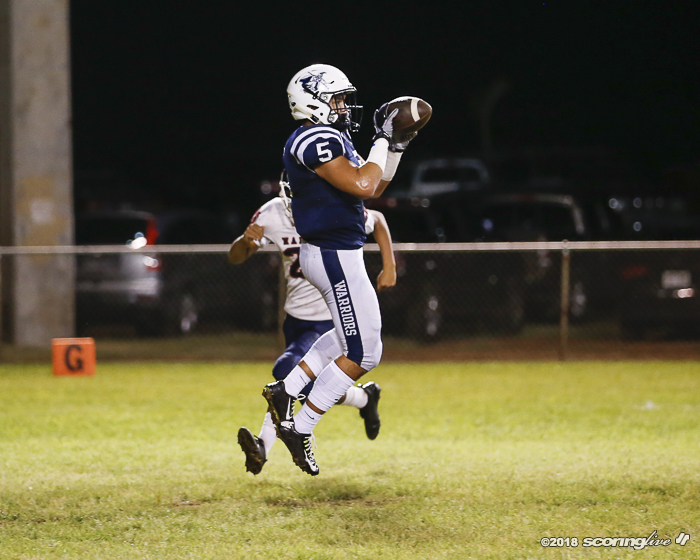 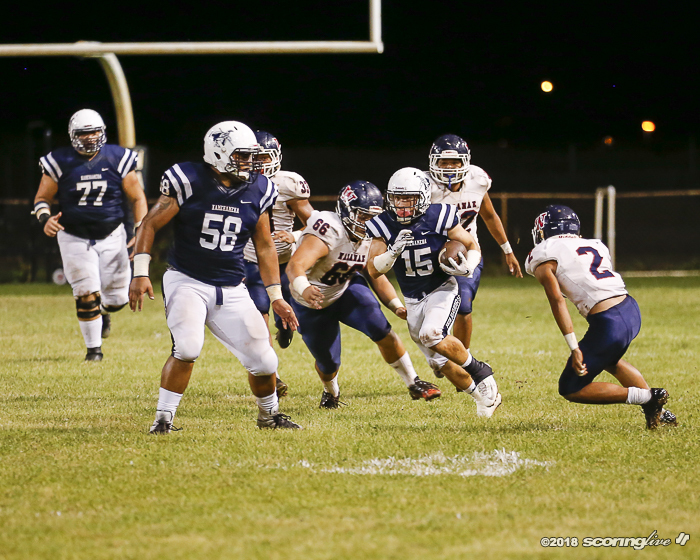 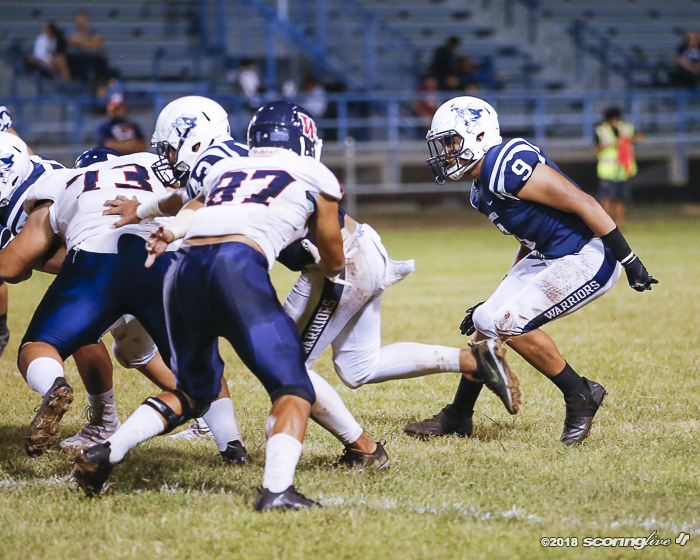 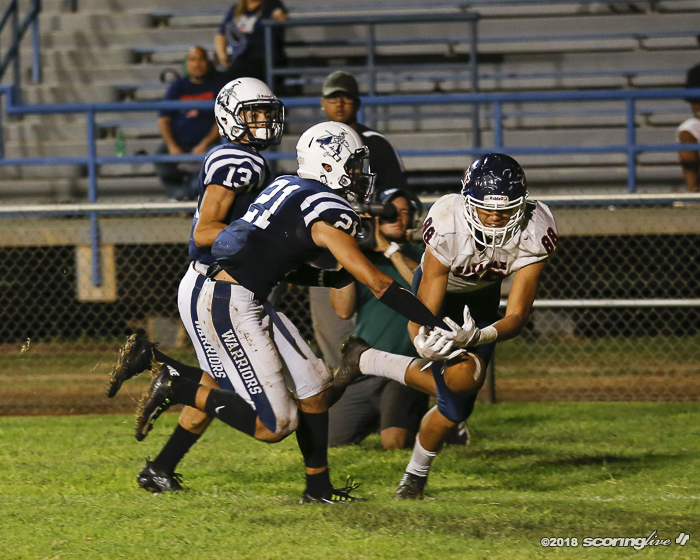 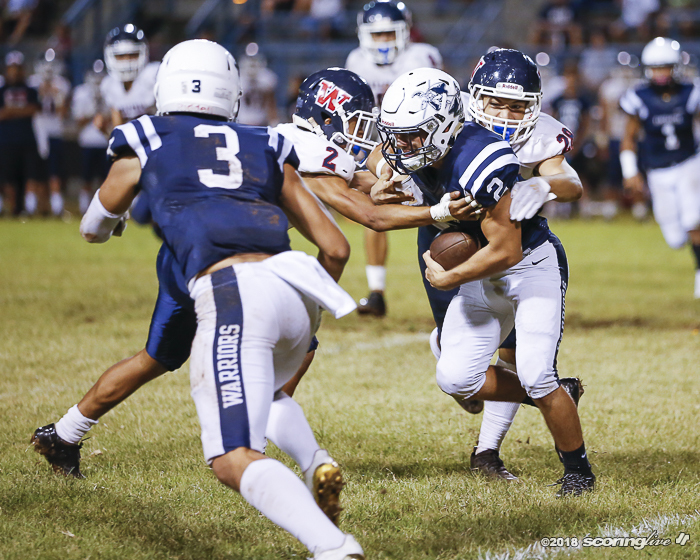 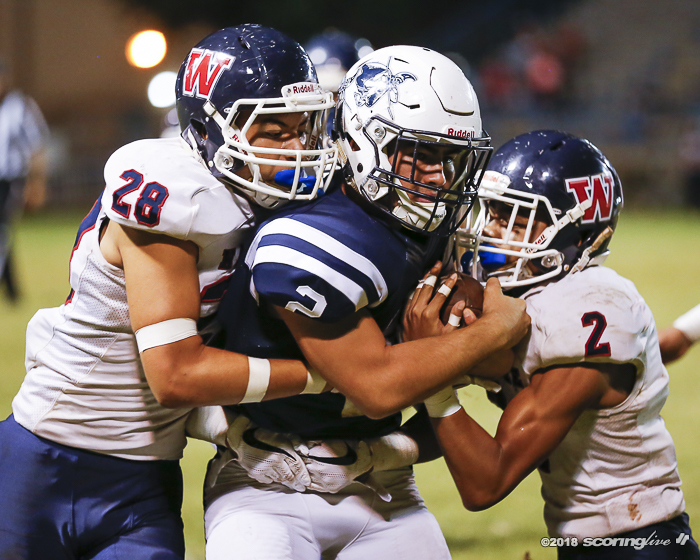 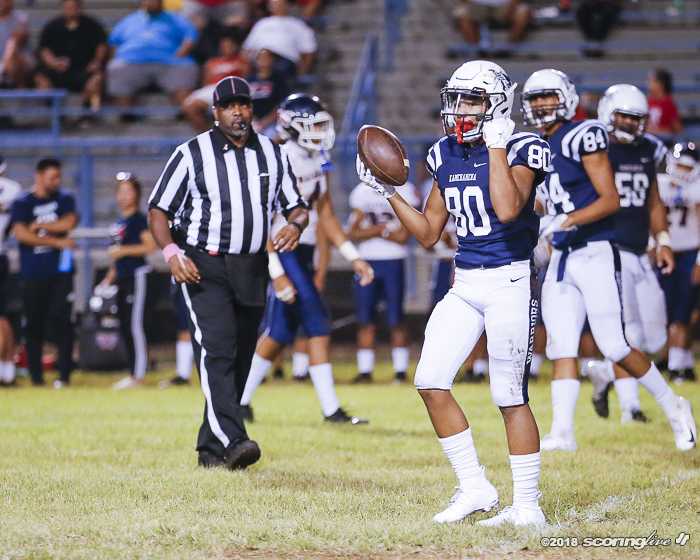 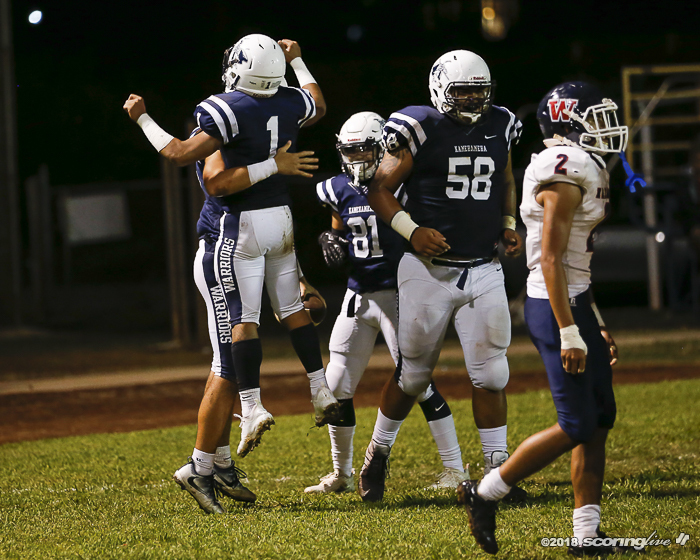 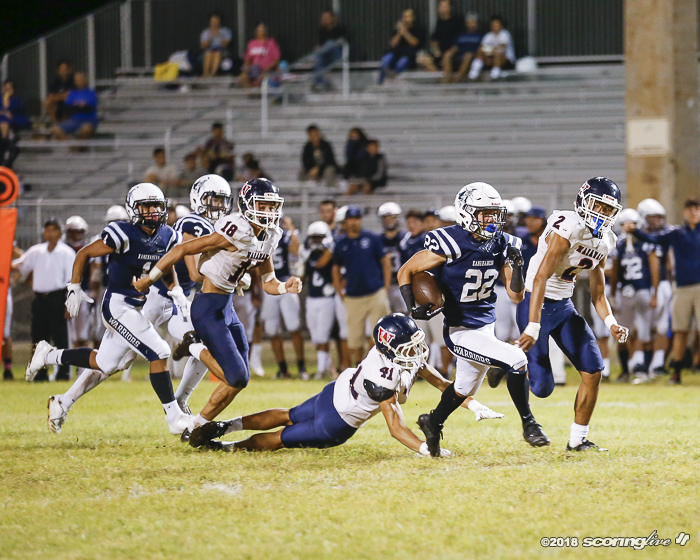 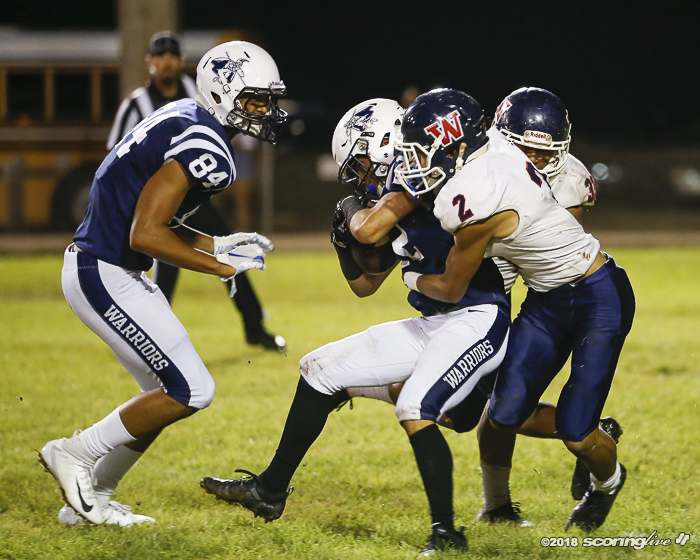 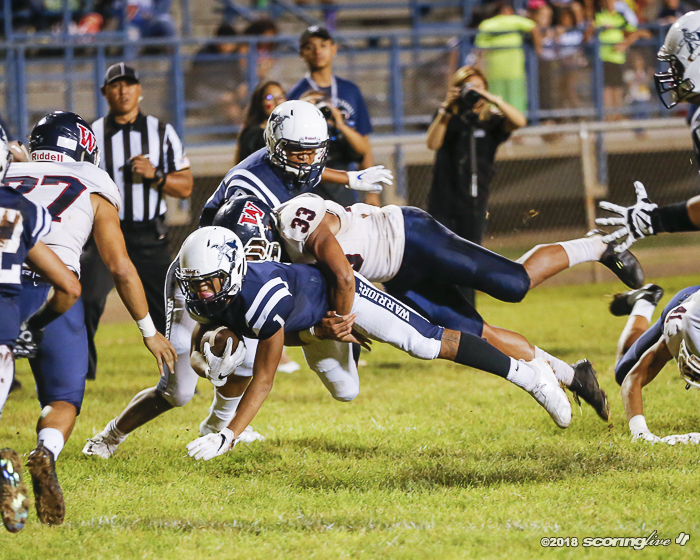 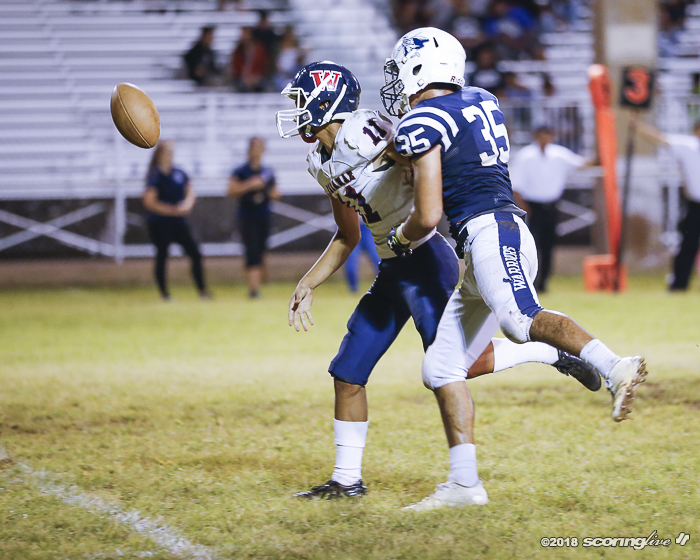 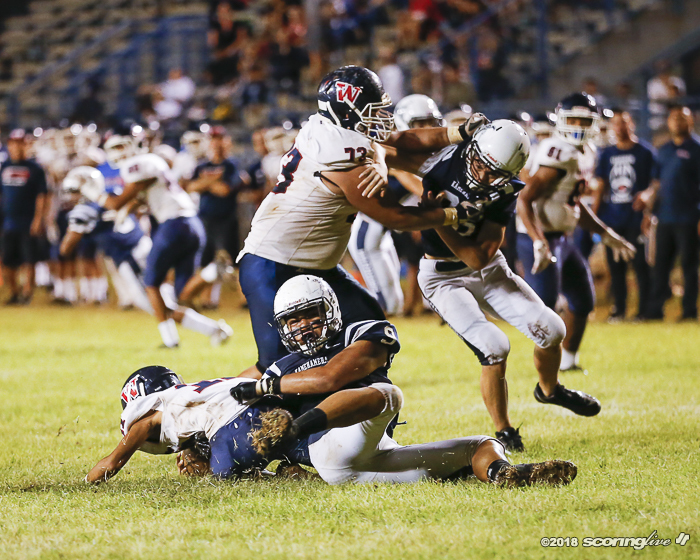 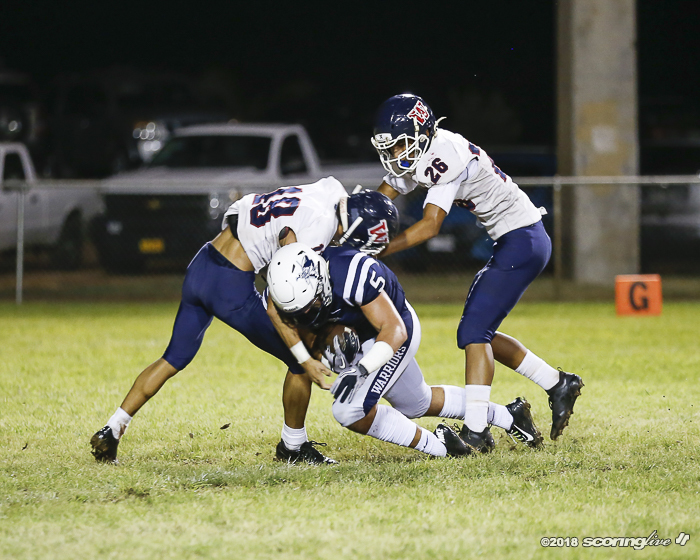 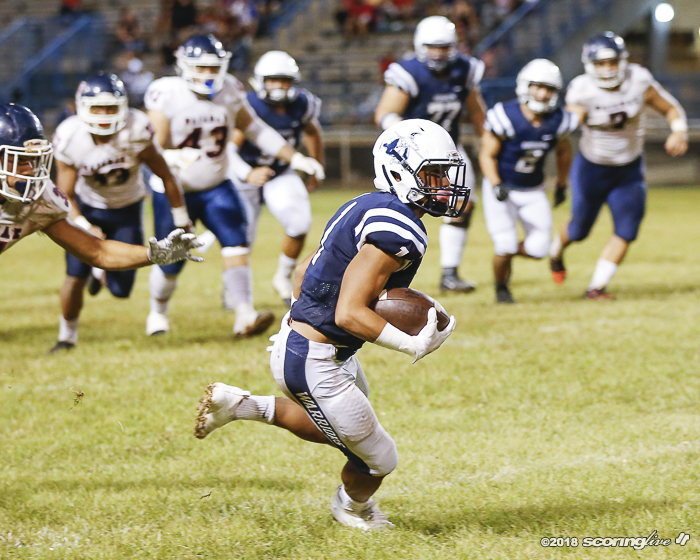 Waianae dropped to 1-6 with the loss, but the Seariders were able to hold their own defensively with three interceptions.